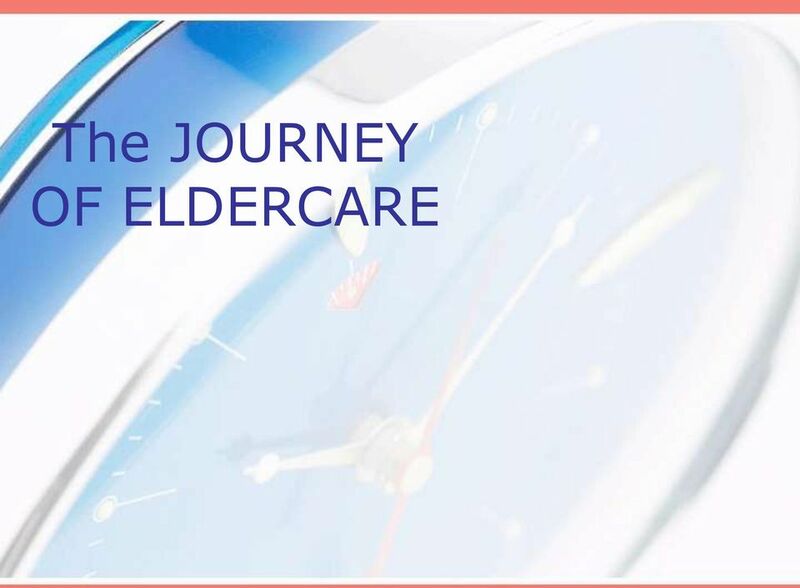 Download "The JOURNEY OF ELDERCARE"
3 Acute v. Chronic Acute - care delivered in a hospital that is usually shortterm and recuperative. 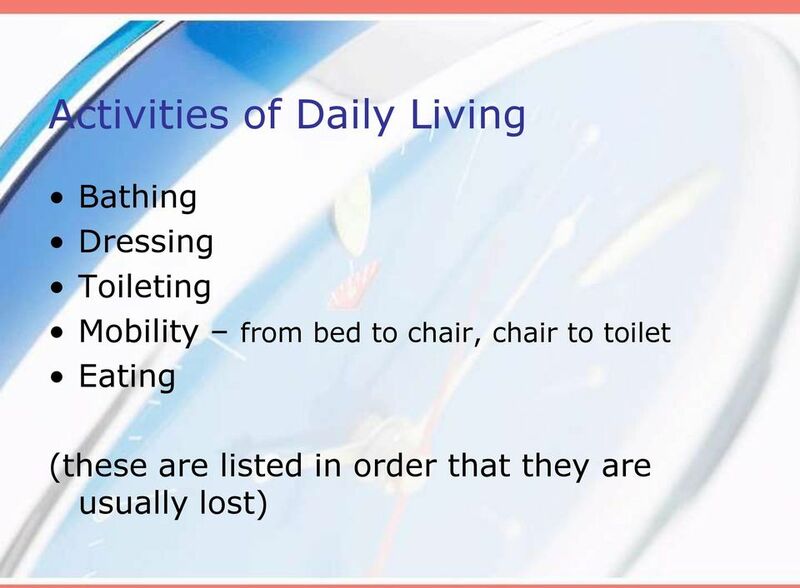 Chronic - condition that lasts longer than 3 months, such as hypertension, diabetes, cancer, chronic lung disease, heart condition, and arthritis. 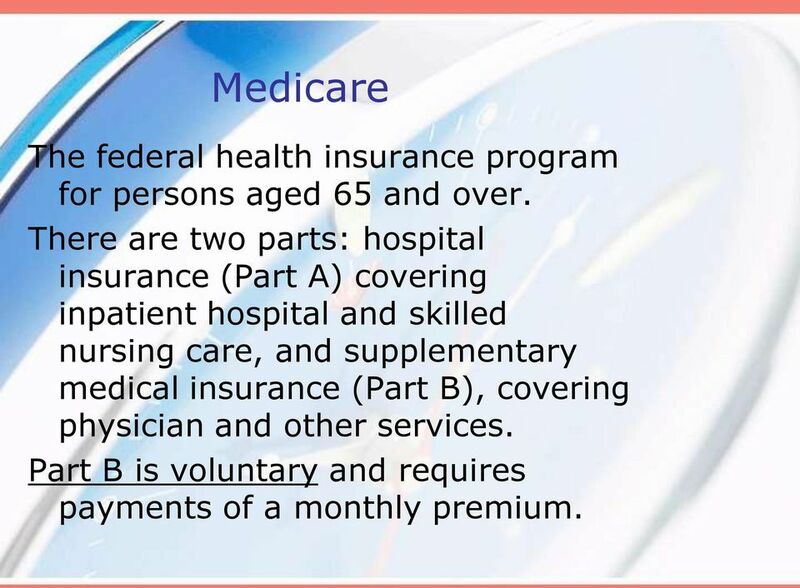 8 Medicare The federal health insurance program for persons aged 65 and over. 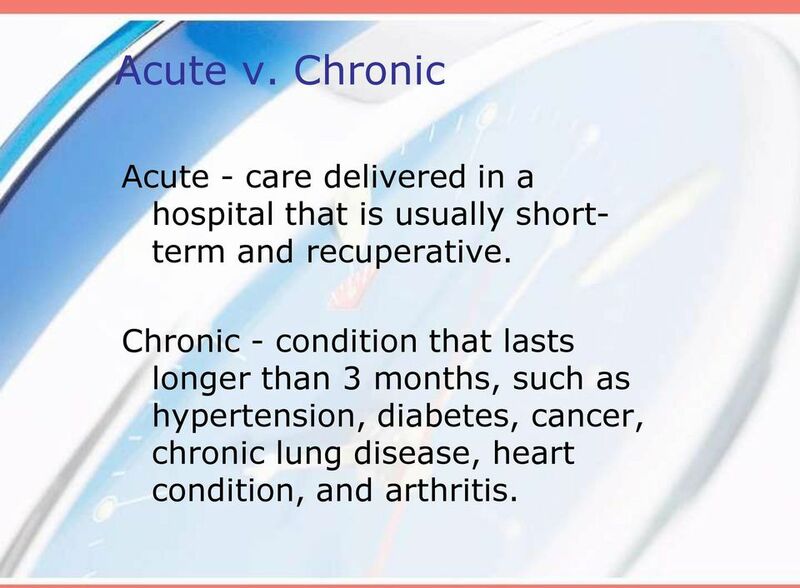 There are two parts: hospital insurance (Part A) covering inpatient hospital and skilled nursing care, and supplementary medical insurance (Part B), covering physician and other services. 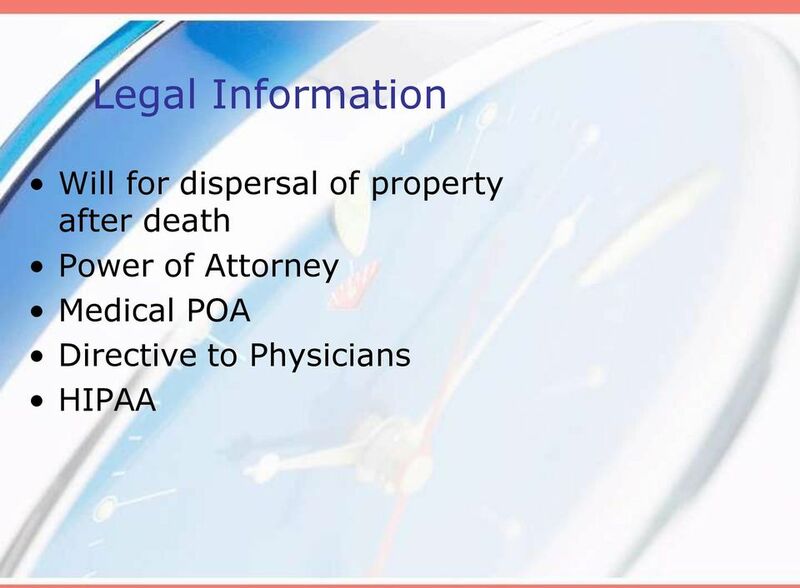 Part B is voluntary and requires payments of a monthly premium. 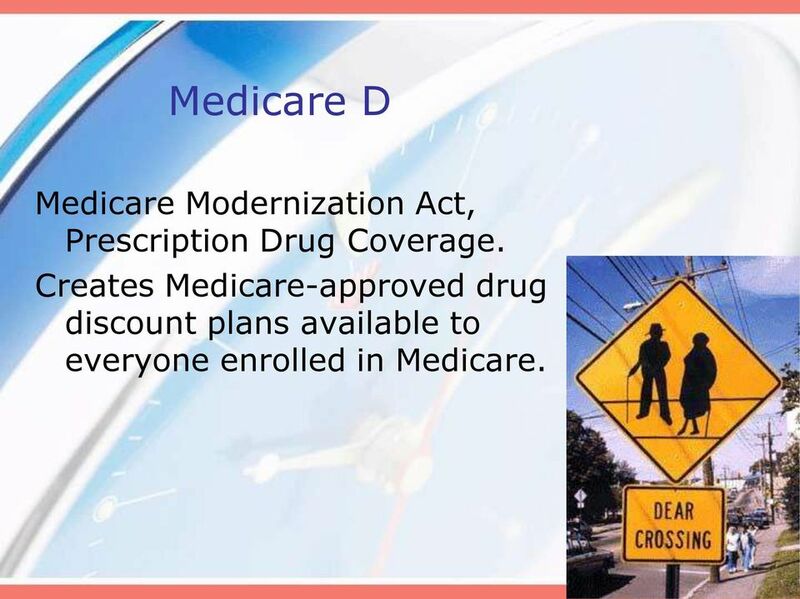 10 Medicare D Medicare Modernization Act, Prescription Drug Coverage. 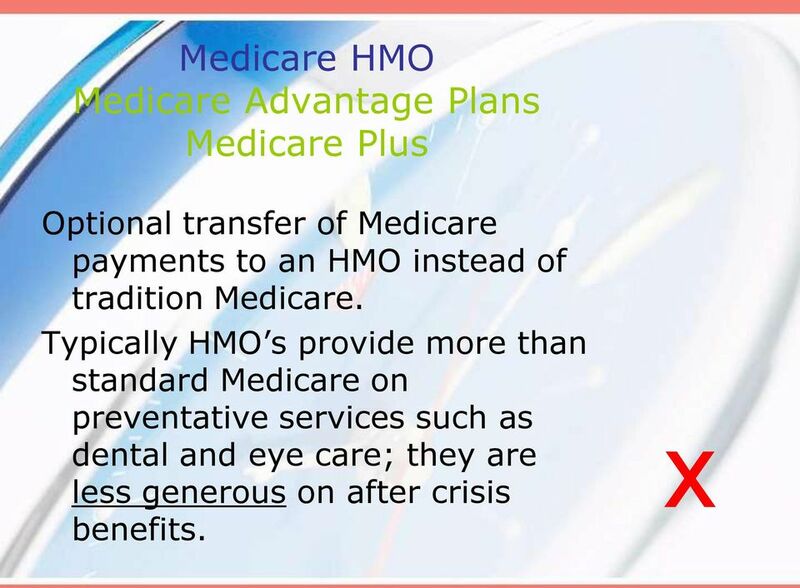 Creates Medicare-approved drug discount plans available to everyone enrolled in Medicare. 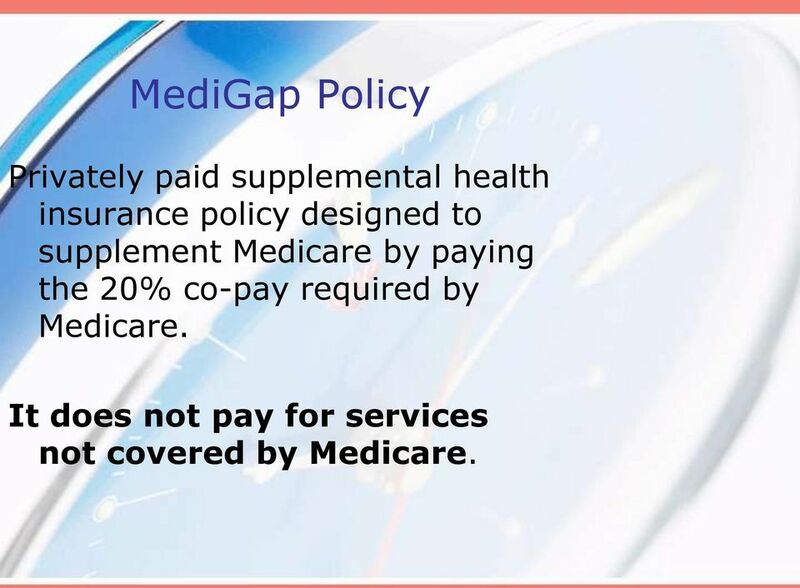 11 MediGap Policy Privately paid supplemental health insurance policy designed to supplement Medicare by paying the 20% co-pay required by Medicare. It does not pay for services not covered by Medicare. 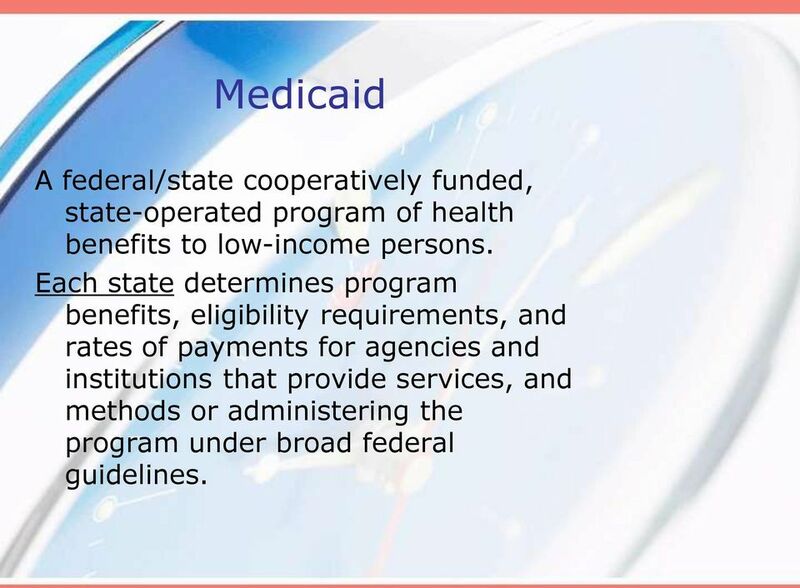 12 Medicaid A federal/state cooperatively funded, state-operated program of health benefits to low-income persons. Each state determines program benefits, eligibility requirements, and rates of payments for agencies and institutions that provide services, and methods or administering the program under broad federal guidelines. 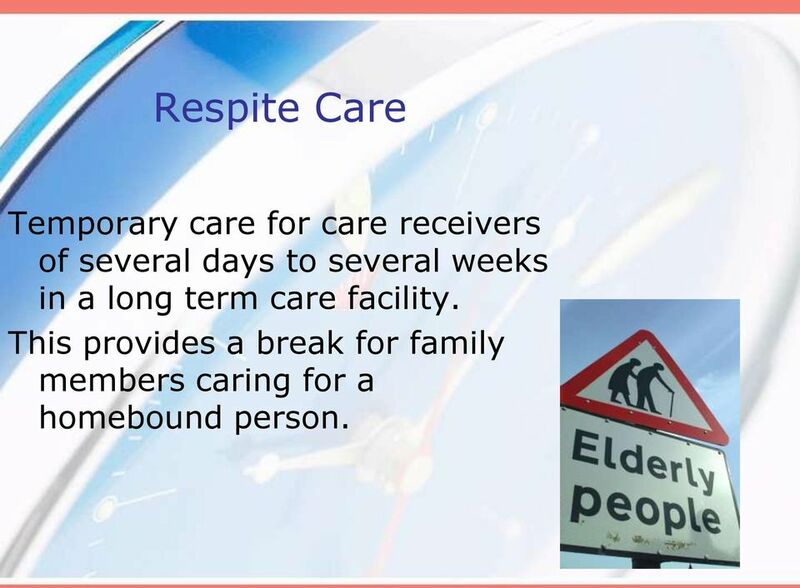 13 Respite Care Temporary care for care receivers of several days to several weeks in a long term care facility. 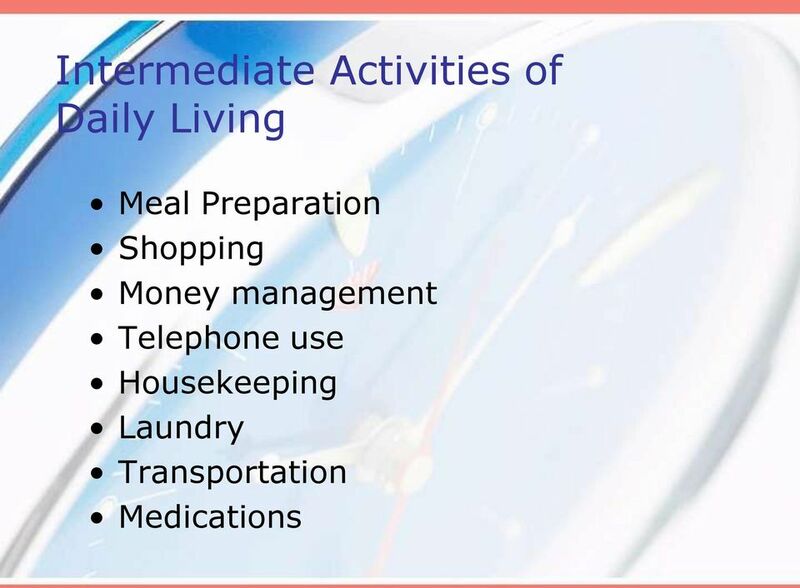 This provides a break for family members caring for a homebound person. 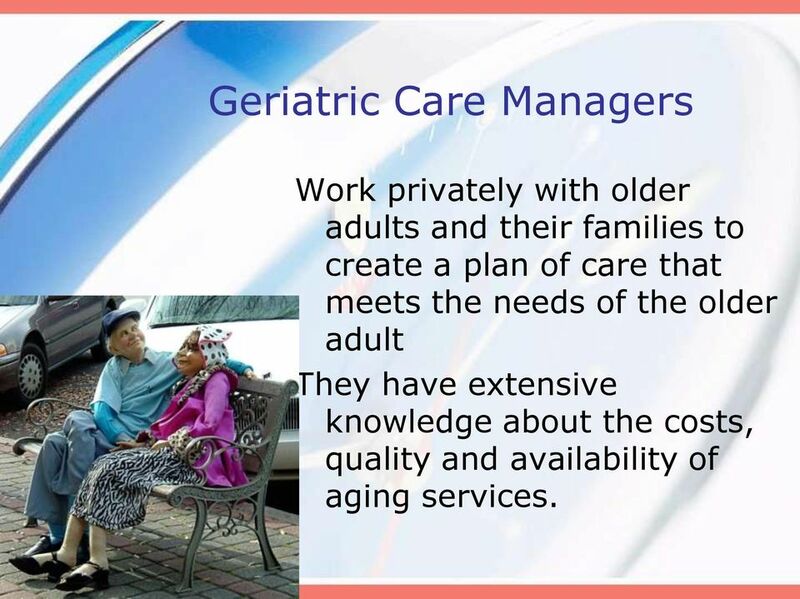 16 Geriatric Care Managers Work privately with older adults and their families to create a plan of care that meets the needs of the older adult They have extensive knowledge about the costs, quality and availability of aging services. 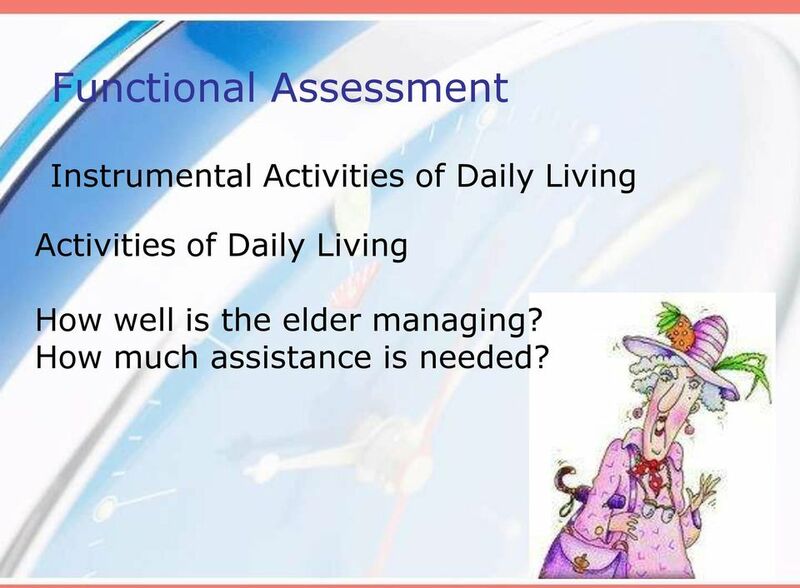 18 Functional Assessment Instrumental Activities of Daily Living Activities of Daily Living How well is the elder managing? How much assistance is needed? 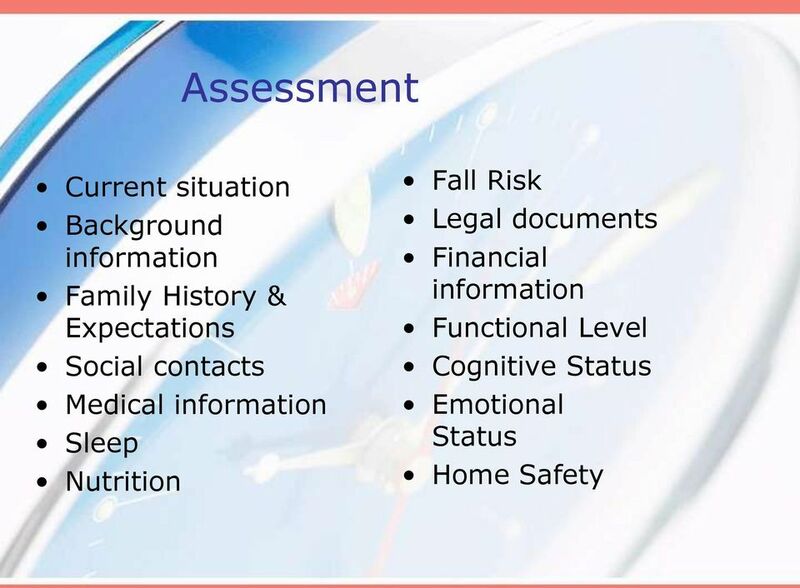 22 Assessment Complications Clinical picture of an older person is usually complicated by organic factors, changes in body function due to age-related impairments chemical changes in the brain the presence of chronic diseases or the impact of acute medical events such as stroke or heart attack. 27 COMMUNICATION Successful communication results from the combined efforts of the speaker and the listener. Communication is successful when the speaker s message has been acknowledged by the listener sufficiently for the speaker to experience having successfully delivered the intended message. 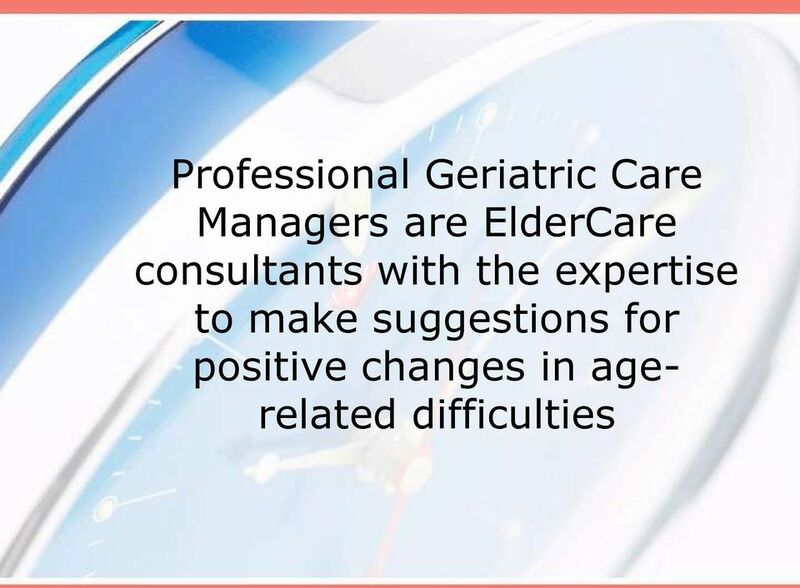 29 GUILT Everyone needs to vent Older adults vent to adult children, spouses, caregivers because they have no other appropriate listener Older adults need to vent their normal age-related frustrations, disappointments, losses Caregivers do not want to hear this!! 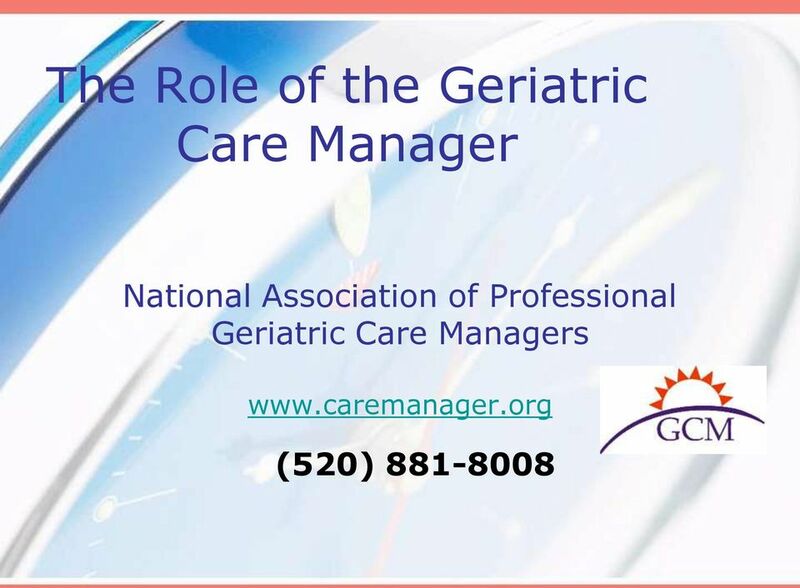 The usual caregiver response to venting is guilt The usual non-caregiver response to venting is Hearing about their care receivers problems makes caregivers feel guilty. 30 Normal Guilt Everyone providing care for someone ill or frail or old feels guilty Caregivers have a life and a future and a healthy body, and their care receivers do not Caregivers want to fix the problems but cannot, and so feel guilty The belief is that if we are responsible for this person s wellbeing, and they are experiencing these difficulties, then it MUST BE OUR FAULT! Hospital Transitions and Discharge Planning Frequently Asked Questions 1. What types of hospital care does Medicare cover? 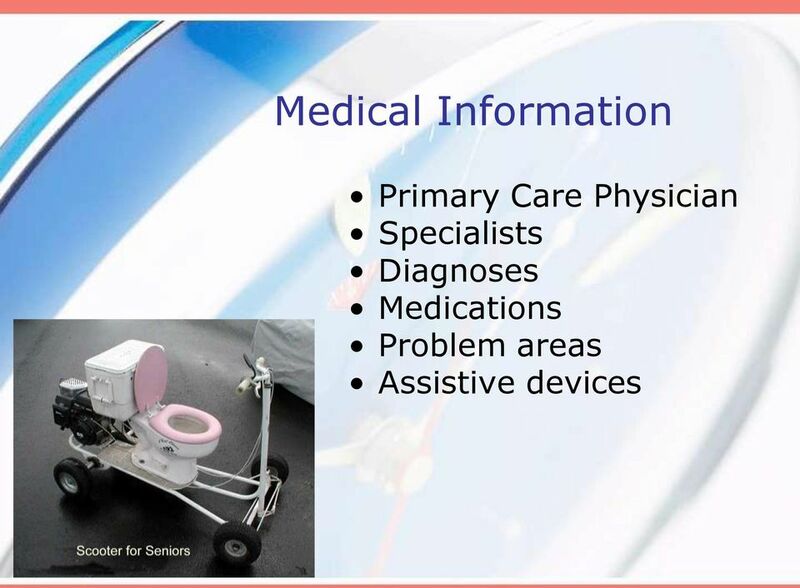 Original Medicare has parts that cover different health care services and items. Show Me Guide. Medicare Made Clear TM. Get Answers: Medicare Education. An easy-to-use reference for understanding your Medicare options. 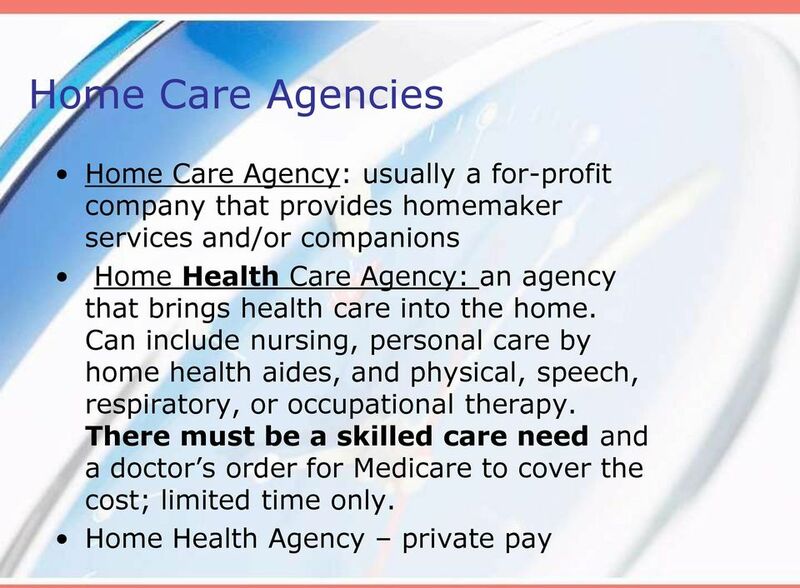 IN HOME CARE. What s available? Who pays for it? 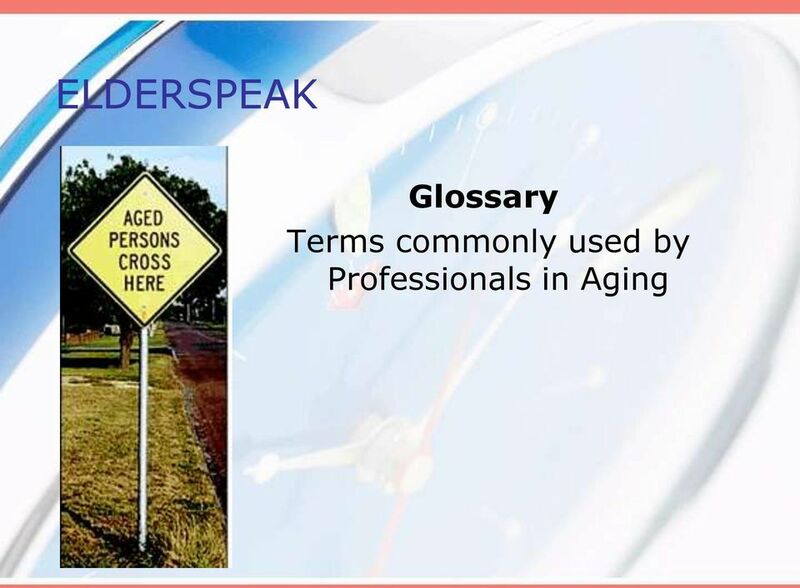 Medicare Resources. A brief guide to sources of help and advice to make your Medicare experience more pleasant.